Over a decade I have been working on my family history as a hobby and have developed my skills as a genealogist. I am including on this page examples of my work to-date on my own family history. I have traced several generations of my parents’ Jenny Coleman and Michael Hassett ancestors. If you have any questions or additional information please contact me via the Contact page of this website. I have written up a number of booklets on people of interest in my family’s history. I hope this list will grow over the coming years. Andrew Hassett (Born 1829, Co. Clare, Ireland – Died 1892, New York, USA). This booklet shares the story, as can be traced through available records, of Andrew Hassett my 2nd Great Grand Uncle, who left a small rural farm in Knockanean, near Ennis, Co. Clare, Ireland in 1851 to seek a better life in the US. We will never know if his motivation for leaving was the famine in Ireland, which was coming to an end, or as per some family tales to escape trouble. Andrew married a fellow Clare woman Catherine Connors in 1857 in New Jersey. They spent their married life in Manhattan and had five children. By the time Catherine died, in 1904, her husband and her five children had died. Edward Smith (Born 1890, Bath, Somerset, England – Died October 1966, Bath Somerset, England). This booklet shares the story, as can be traced through available records, of Edward Smith my 1st Cousin 2x removed. My Great Grandmother, Elizabeth Anne Smith was his Aunt. In 1890, at age 16, her sister Caroline Augusta Smith had young Edward. We have never been able to trace details of his father or the circumstances surrounding his birth in Bath, Somerset. Edward Smith was raised and cared by his Grandmother Susan Smith née Hopkins-Hemming and his Aunt Florence Matilda Smith. He served in the Great War (WW1) with the Coldstream Guards and then the Machine Gun Guards. In 1918 he married Eleanor Beatrice Issacs and in 1920 their child Olive M Smith was born. After the War, Edward was a Police Constable in the Bath City Constabulary. The Hassett Family, Watertown and Milwaukee, Wisconsin: 3 Generations. I started writing this book as I was intrigued as to why my 3rd Great Aunt, Mary Anne Hassett, would leave her home, a small rural farm in Knockanean near Ennis, County Clare, Ireland and make the long arduous journey to America and why did she end up in Watertown, Wisconsin? Through this research, following the tracks left by the six main characters who span three generations of my ancestry, I have tried to shed some light on their personal histories: Mary Anne Hassett (1826 to 1899), Thomas Sullivan (abt 1816 to 1882), Mary Hassett (1860 to 1925), Carroll O’Donnell (1853 to 1932), William Frederick Hassett (1899 to 1961) and Mary Matilda Foley (1893 to 1976). I have produced a short video here on this story: https://youtu.be/wNNjiNyus-A. I have also researched the history of my Great Aunt Kathleen Hassett (born 7 February 1897, Limerick, Ireland and died 6 July 1985, Manchester, England). In 1909, at age 12, Kathleen and her family moved back to the ancestral home in Knockanean, Co. Clare. At this time it was a very small house on a rural and hilly farm. 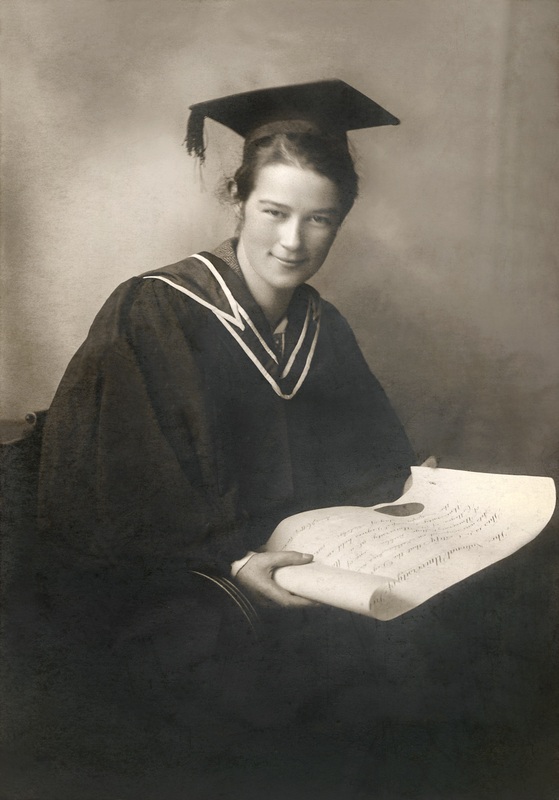 In 1914, she achieved a first in Irish in her middle Intermediate Certificate. In September 1915, Kathleen attended university at UCD in St. Stephens Green, Dublin where her lecturers included Thomas MacDonagh, Dr Douglas Hyde, Mary Kate Ryan (who later married Sean T O’Kelly) and Maurice Hayes. She bought her daily newspaper from Thomas Clarke. In March of 1916, Proinnsias Ó’Súilleabháin got very interested in her plans for the holiday period, and encouraged her to go home to Clare for the Easter break. Kathleen said she preferred to stay to study for her exams which were due to start on 3 June. As a result of this she was an eye witness to the events of Easter 1916 in Dublin. Here is a link to a group of 1916-related postcards collected by my Great Aunt Ka. I organised for them to be donated to the Ephemera Collection of the National Library of Ireland. In July 2016 I wrote an Open Letter to Government calling for release of 1926 Census of Ireland.